The difference between a French antique in original condition and restored is stark, and while there is good merit in buying in original condition, more often than not it's restored that's most appropriate for the home. 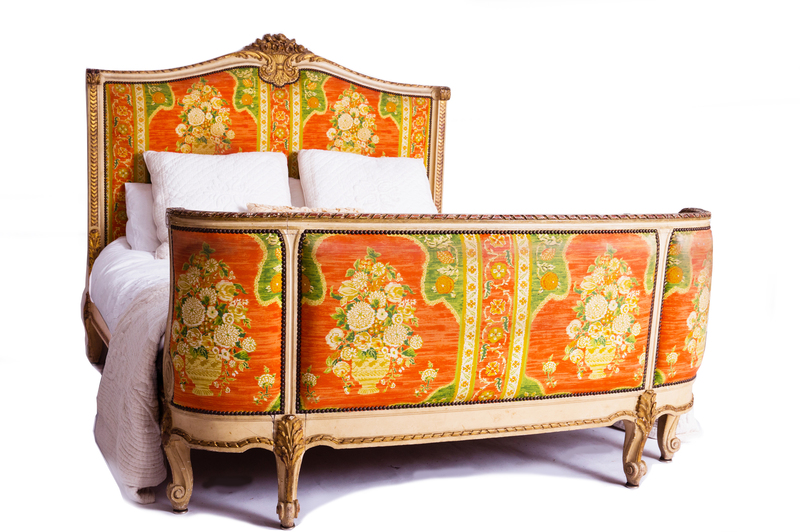 Below we've featured a number of pieces that we've restored. It is undoubtedly one of the loveliest parts of the business, seeing an un-polished gem. 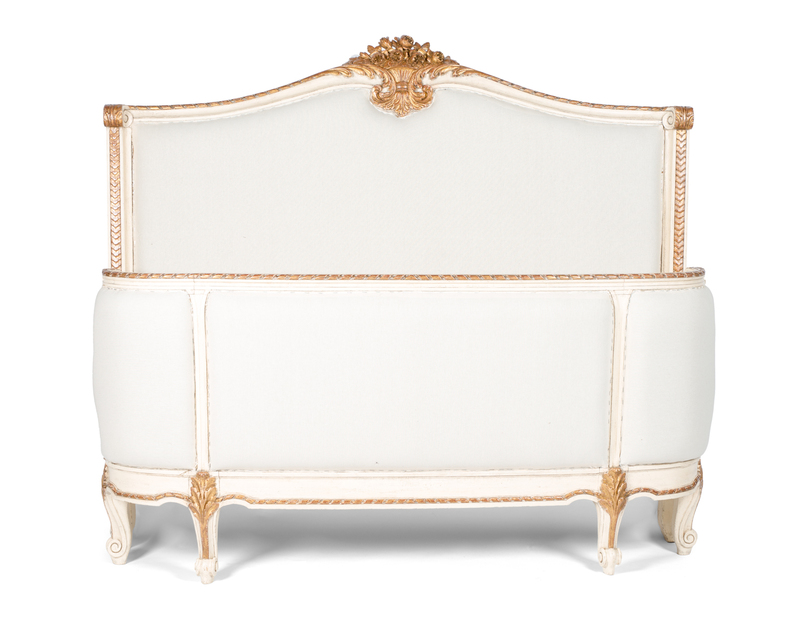 The difference between a French antique in original condition and restored is stark, and while there is good merit in buying in original condition, more often than not it’s restored that’s most appropriate for the home. 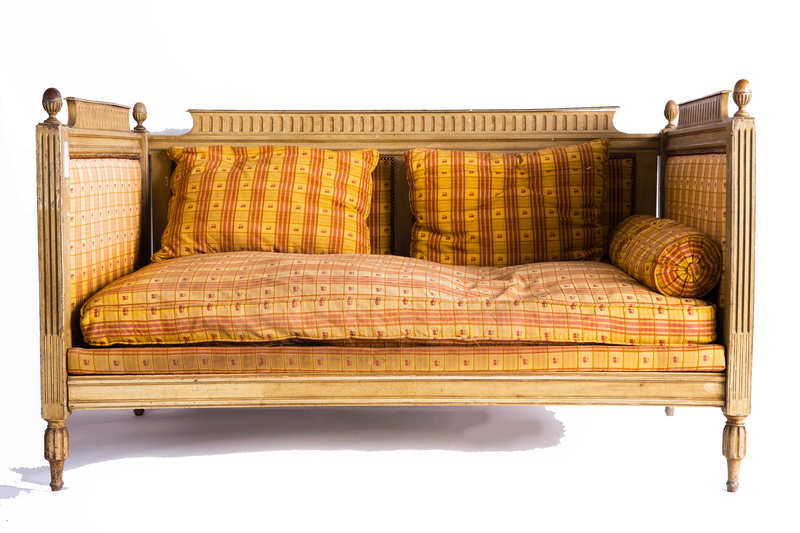 Below we’ve featured a number of pieces that we’ve restored. It is undoubtedly one of the loveliest parts of the business, seeing an un-polished gem. 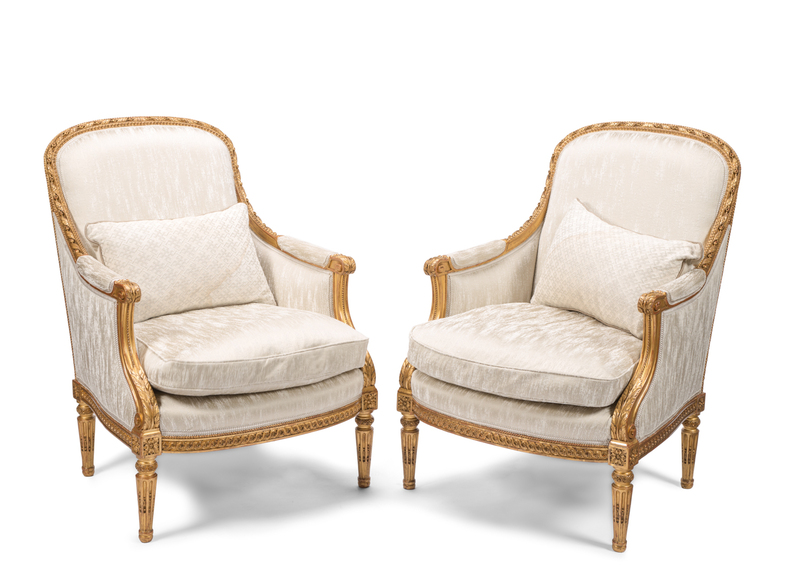 This pair of outstanding quality 19th century English bergere armchairs by C. Mellier are a perfect example. 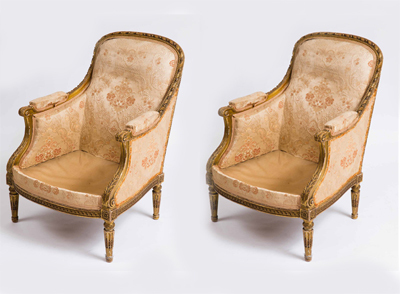 Overlooked for two years in the shop floor, the moment they were restored and re-upholstered they disappeared. 2. 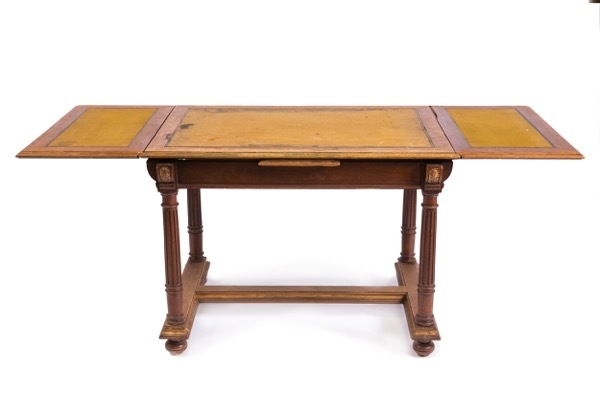 This very fine 19th century French Henri II adjustable writing table has certainly seen better days. 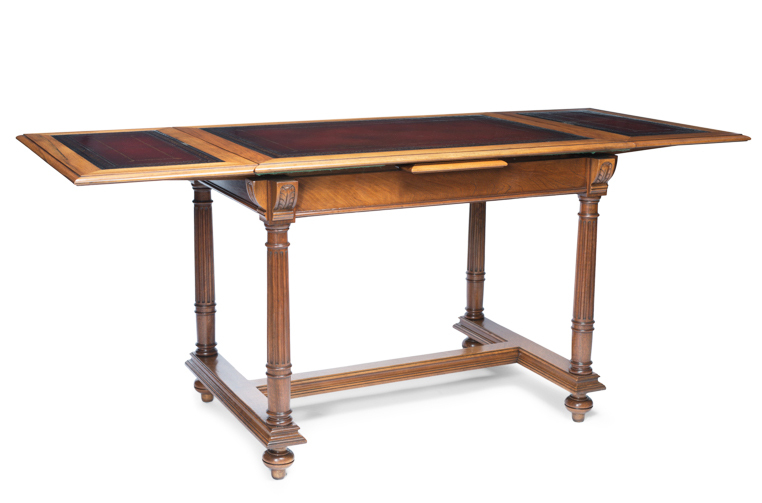 The table had no polish, the original leather had disappeared but what a tremendous difference restoration made. 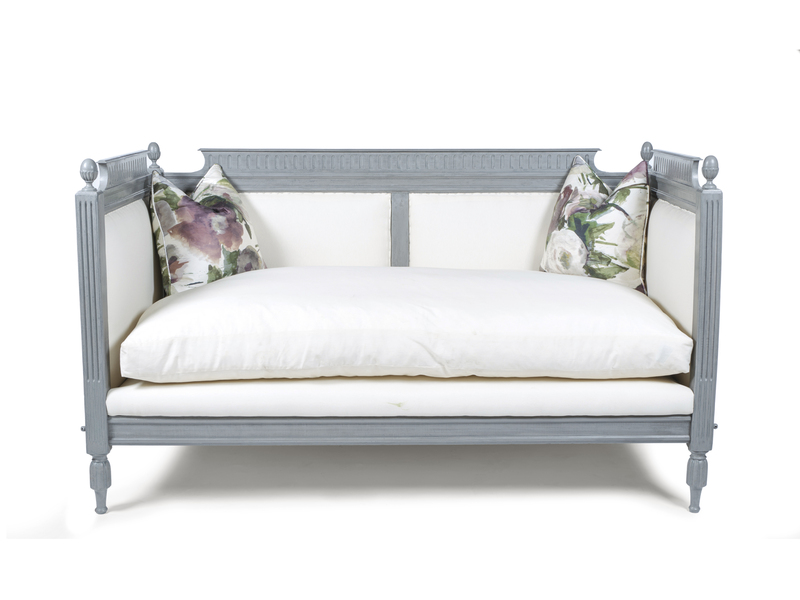 While no doubt it looked beautiful in the room it was designed for, this Frenh antique bed was completely overwhelmed by its upholstery. We cleaned the bed frame, and put a placeholder calico on ready for a beautiful fabric. Now the beautiful gilding and carving speaks for itself.